The nominees for the "Oscars" of gaming have been announced, with the usual suspects from GOTY 2011 lists leading the pack. As we get used to the idea of living in 2012, most of us have a pretty solid idea of what we liked (and didn't like) about gaming in 2011. For those in search of validation, the Academy of Interactive Arts and Sciences (AIAS) has released its list of nominations for its 15th Annual Interactive Achievement Awards, tipping its hat liberally to a wide variety of popular titles and ignoring almost nobody. Leading the nominations-count is Uncharted 3: Drake's Deception, which is up for twelve awards including Game of the Year, Outstanding Achievement in Story, and Outstanding Achievement in Game Direction. 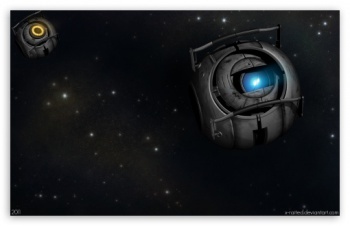 Portal 2 has ten nominations, including Game of the Year, Oustanding Achievement in Visual Engineering, and a nod for Stephen Merchant as the voice of Wheatley. The other Game of the Year nominees are Batman: Arkham City, The Elder Scrolls V: Skyrim and The Legend of Zelda: Skyward Sword. For a full list of the nominations, which includes 9 nods for L.A. Noire, click this here .pdf. All in all, the nominations list is fairly well-balanced (it isn't nearly as baffling as the Spike VGAs list, for example). Many of the titles from our own best-loved games of 2011 are in there, though some have been shuffled around a bit. The winners will be announced at the awards ceremony at the DICE Summit in Las Vegas on the 9th of February, which will be available for livestream via Gamespot.